I think it is important we share with our loved ones how we can help other families and communities become healthier and stronger by supporting them. We can easily to do this by purchasing gifts from World Vision that multiply 12 times in impact. Gifts like a goat + 2 chicken, chicken and eggs, teach a family to fish, honeybees, seeds to plant, fruit tree, give a ger, solar lantern, clothes, shoes, tools and training can help these communities. We can also help communities close to home by providing nutritious food, school supplies, and clothing for children in USA. With every gift we purchase World Vision will include a free personalized card that we can give our loved ones, which will help them know that they made an impact and helped another person. I believe when giving gifts it is important that the gifts are meaningful and something the person we give it to will appreciate! The handcrafted items on the World Vision Gift Catalog gives back twice - one to give our loved ones and another to help others around the world who need support the most. The money raised from our purchase of these handcrafted gift items goes to the Where Most Needed fund that supports a variety of World Vision’s different programs and initiatives. 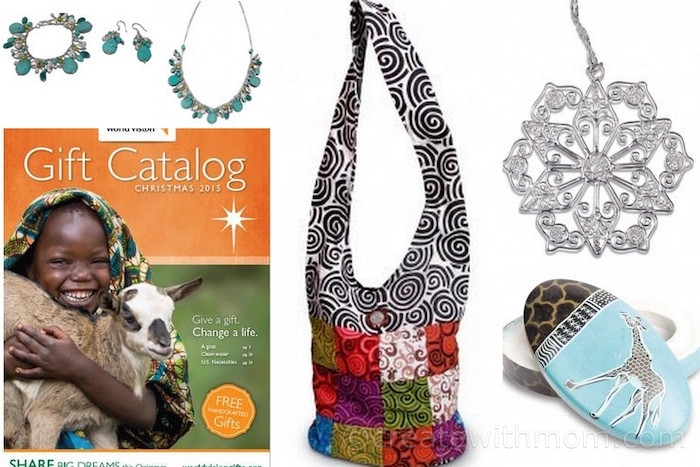 We can purchase these items through World Vision’s Gift Catalog online or call 855-WV-GIFTS. Turquoise Jewelry with the Necklace ($85), Bracelet ($75), Earrings ($55) will go beautifully with holiday outfits. These unique and nickel-free pieces were designed by Delhi artisans and are available individually. Christmas Star Ornament ($40) made from castoff metals by artisans help support children’s education in India. It makes a beautiful hostess gift, as it serves as an elegant reminder of helping families in need around the world. Thai Patchwork Tote ($125) sewn with uniquely patterned fabric for women of all lifestyles, whether the recipient is a student, stylishly carrying a notebook and pencil, or a busy parent in search of a trendy alternative to a diaper bag or a frequent flyer in need of an easy carry-on or a woman who simply needs a cute bag to carry her wallet and essentials. African Soapstone Box ($85) is a beautiful place to store necklaces, rings and other trinkets. This hand carved gift is etched by talented artisans in Kenya who use this sustainable resource to lift themselves and their families out of poverty. Honour the special woman in your life with this gorgeous Mango Wood Beaded Bracelet ($45) the community on the island of Java has put together. 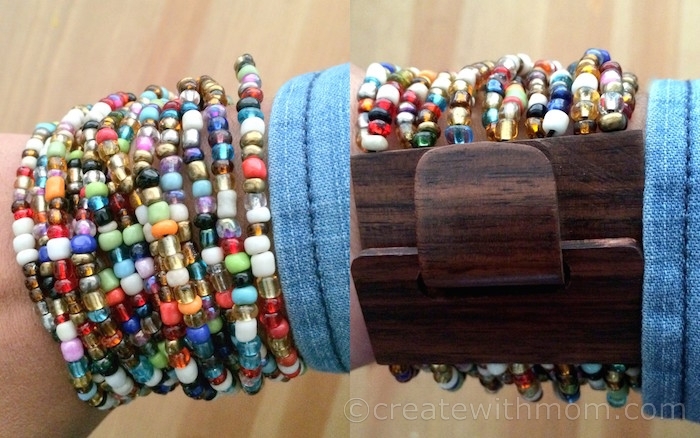 These colorful bracelets provide a sustainable income to help feed and care for their children. If you are in USA and would like to win a Mango Wood Beaded Bracelet before December 10 enter through the rafflecopter below. Please follow the social media links and leave comments to be eligible to win. I wonder if they have this program available for Canadians to partake in? I live in California. I like the multi-strand Balinese necklace for my mom. I live in Wisconsin and would love to give the silver vines cuff to my sister.